Can you Sue to Recover your Residuals? One of the questions I am most often asked by agents is what can they do to collect their residuals from an ISO when an ISO quits paying residuals under an agent contract. The issue is often influenced by the geographic location of the agent and the ISO. As will be explained below, due to venue provisions in the typical agent contract, the expense of litigation and the fact that most ISOs are not located in the same state as the sales agent, it is difficult if not impossible for an agent to sue an ISO for unpaid residuals. One of the main reasons an agent has a difficult time collecting unpaid residuals is due to the venue provisions in the agent agreement. “Venue” refers to the place where any litigation concerning the agent agreement must be brought. For instance, if an ISO is located in North Dakota it will generally insert a provision into all its agent agreements that any lawsuit seeking to determine the rights and responsibilities of the parties under the agent agreement must be brought in the state of North Dakota. The problem is that most of the agents that will contract with the ISO are not located in North Dakota but rather in other states all over the country. If a dispute between the agent and the ISO occurs, the agent is left with the choice of suing in a state far from home or trying to defeat the venue provision by suing the ISO in the agent’s home state. In What State Should You Sue? The first option an agent has is to try to sue the ISO in the agent’s home state. An agent can file suit in its home state in spite of the venue provision in the agent agreement. However, the agent runs the risk of the ISO defending the lawsuit in the agent’s home state and then getting that lawsuit dismissed based upon the fact that the venue provision calls for the lawsuit to be litigated in the state where the ISO is located. The danger is that most agent contracts have an attorneys’ fees provision that calls for the prevailing party to recover all its attorneys’ fees upon the conclusion of the case. If the ISO is successful in getting the lawsuit dismissed in the agent’s home state, then the agent will have to pay the ISO’s attorneys fees in obtaining the dismissal. The other option of suing the ISO in its home state is also not very advantageous. An ISO usually has its own legal counsel in its home state that is familiar with the local laws and knows the ISO’s business. The agent on the other hand has to locate an attorney in a state that it is not familiar with and likely the agent does not know any attorneys in that state. Just finding an attorney is usually a difficult process and when one is found, he or she will usually ask for a hefty retainer fee in order to commence the litigation. If an agent is only being paid a few thousand dollars a month, it is going to think twice about having to pay an attorney a retainer of $10,000 just to even commence the litigation. This does not even take into account the additional expense that may be incurred trying to continue to pursue the case to its conclusion. Even if an agent does manage to prevail, the issue of collecting the judgment is another potentially difficult step in the process of obtaining reimbursement for unpaid residuals. What if You Do Obtain a Judgment? Even assuming an agent is able to file a lawsuit in its home state and obtain a judgment against an ISO, the issue of how to collect the judgment is also a high hurdle for the agent to overcome. Say for instance an agent is able to successfully obtain a judgment in the state of California against the North Dakota ISO. Regrettably, the California judgment is not enforceable in North Dakota without further efforts on the part of the agent. The California judgment must be filed in the state of North Dakota as a “sister state” judgment in order to be enforceable in North Dakota. Once the judgment is filed in North Dakota the agent is still not done. The California agent will still have to hire counsel in North Dakota in order to try and collect the judgment. Again, the agent is faced with a situation where it is forced to employ an attorney in the home state of the ISO in order to try and collect the judgment. As an alternative to employing an attorney, an agent can represent itself and sue an ISO in its own state in small claims court as quick and easier way of obtaining a judgment. Conceivably, an agent could sue an ISO in state court every month when its residual was not paid. However, the general amount that an agent can sue for in small claims court is limited, often to $5,000. If the monthly residual is larger than that amount then the agent likely would be better off obtaining counsel to pursue its unpaid residual claim. In addition, as set forth above, even if the agent is successful in obtaining a judgment against the ISO, if the ISO is not located in the same state as the agent, the agent must go through the process of getting the judgment confirmed in the state where the ISO is located. Many agent contracts provide for arbitration as the means of resolving any disputes between the parties. The reason these arbitration provisions are placed in the agent agreements by ISOs is because they generally favor the ISOs. In the context of an arbitration proceeding, the ISO has a substantial advantage over the agent. 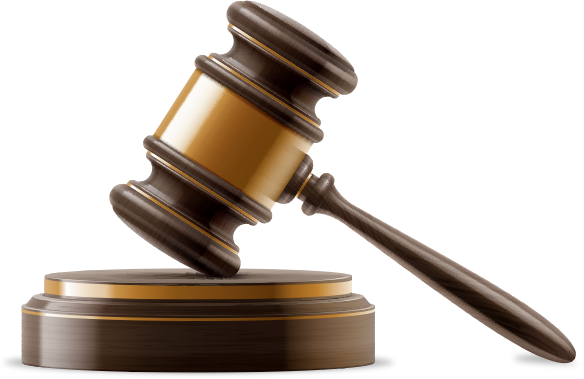 Most arbitration provisions provide for the arbitration to be administered under the commercial rules of the American Arbitration Association (“AAA”) which are available on the AAA’s website. The detriment to an agent with these rules is that they do not allow for any discovery except by the agreement of the parties. Discovery, if done, allows the agent to obtain documents from the ISO, ask written questions of the ISO and take the deposition of witnesses. Since the AAA rules do not allow for discovery, the agent does not have the ability to obtain information from the ISO such as the processing volume and the residual that it is owed under the contract. Since the agent cannot obtain any information from the ISO, the agent is left with having to make an educated guess as to how much it is entitled to under the contract. The leaves the agent in a situation where, without being able to obtain any discovery, it has to engage in an arbitration hearing with a distinct disadvantage due to a lack of relevant evidence to support its claims. The agent is limited to presenting the information that it has in its possession and any additional information that it can extrapolate from its prior residual payments. The ISO on the other hand has access to all the reporting information regarding the agent’s merchants and can introduce that information into evidence or choose not to do so. At the conclusion of an arbitration (usually lasting less than a day), the arbitrators will determine the amount of unpaid residuals, if any, that will be awarded to the agent. Overall, the arbitration process handicaps the agent to the extent that it does not allow for a full investigation of the facts. In addition, the informal nature of the proceedings oftentimes leads to lesser awards than would be likely in a litigation setting. Overall, it is very difficult for an agent to recover any unpaid residuals. Unless the amount in controversy is substantial, it generally does not make business sense for an agent to incur a large attorneys fee bill to try and collect its residual. My experience has been that most agents, when faced with the option of either incurring additional fees to try and recover their residuals or just walking away, choose to not pursue the matter.